In Ireland it is common for rates of depression to be highly prevalent in rural areas of the country. One population that are vulnerable are men, particularly farmers who may spend much of their time in isolation tending to their lands and livestock. A tough job to be involved in especially considering the long hours involving little human interaction. Many middle-age men living in rural Ireland who spend the majority of their time farming may often have inherited the farm from their parents. Consequently, they may never have got married due to the amount of time they had to invest in the duties of farming life. Although no one is too old to find a partner, bachelors like these may feel that their time has passed and that there is little chance or time to pursue meeting someone. The 'pickings' may be slimmer if a farmers only dealings with other people are other local farmers, employees in cattle marts and creameries, or vets making visits to the farm to check on animals and so forth. So much so has this combination of depression and isolation been recognised that some veterinarians are even being trained to spot the signs of depression in people they deal with. It's an extremely relevant issue in Ireland today and has been for a long time. The topic was recently examined in a 2013 film called Pilgrim Hill . 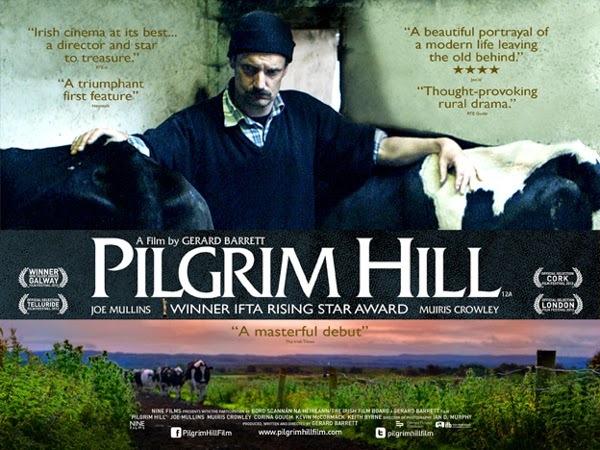 It depicts the life of an Irish cattle farmer, living alone with his invalided father in a remote Irish location. I'd highly recommend a viewing. It captures the forgotten side of rural Ireland and the tragic sense of what is often involved for some men working in the Irish farming industry today. The Irish Times (in a four-star review): "Barrett's debut feature is a quietly stunning slice of rural naturalism. A masterful debut."